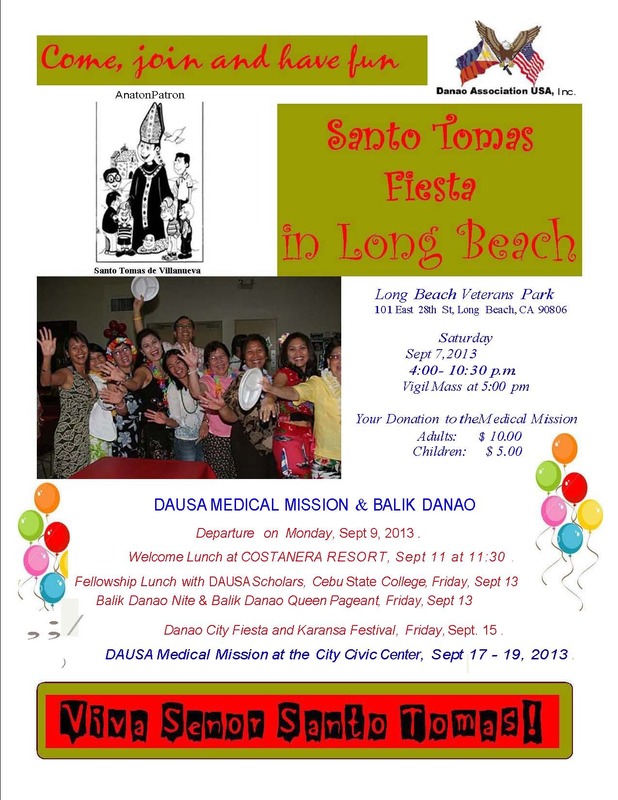 On September 7, 2013, Saturday starting at 04:00 p.m., members of the Danao Association, U.S.A. (DAUSA), their friends and relatives will observe and celebrate the feast of their hometown patron saint, the venerable Santo Tomas de Villanueva, Veteran’s Park Social Hall, 101 E. 28th Street, Long Beach, CA. We invite you to join us in the celebration of the Holy Eucharist officiated by Rev. F. Gil Magampo. We want you to join us partake in a hearty lunch and share a good clean fun with Danawanons of Southern California.